Make your dream of becoming a pilot come true !! Sit in the pilot seat and take control of your airplane with in background the beautiful scenery of Old Quebec City and the St-Lawrence river !! 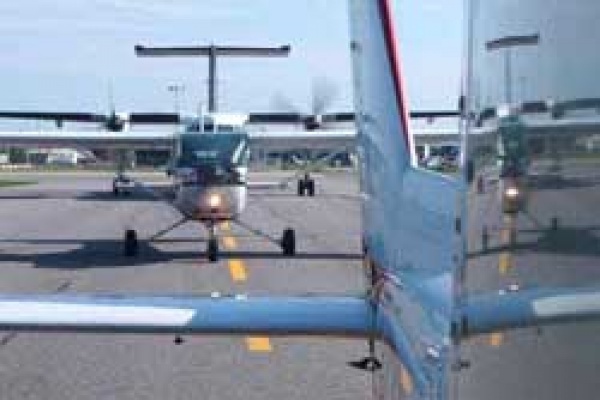 A 20 minutes ground class allows you to learn the basics of airplane controls and off you go for a forty minutes flight. Your instructor sitting by your side will help you to fully enjoy your experience and to assure flight safety. You will receive a complimentary souvenir hat and a picture so you can remember these unforgettable moments. Departure every day from Jean Lesage Airport in Quebec city. An unforgettable gift.